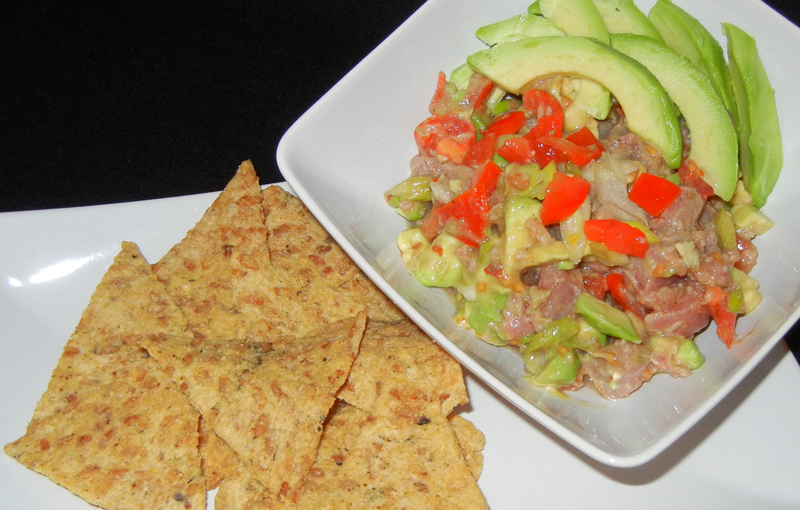 I just needed something easy and healthy that tastes good too and tuna tar tar came to my mind. Fresh tuna contains 2.1 grams of omega-3 fatty acids in every 3.5-ounce serving. A diet rich in both DHA and EPA could help prevent high cholesterol, heart disease, hypertension, rheumatoid arthritis, osteoporosis and neurological disorders like depression, Alzheimer’s disease and dementia. Not to mention high percentage of protein and vitamin A that’s needed for our muscles, hair and eyes. Imagine all this goodness takes about 15 minutes to make and costs only about $10. And I live in one of the most expensive places in the US, Bay Area, CA so it may even cost less where you live. This entry was posted in Fibromyalgia, Food, Gluten Free, Health, Life, Recipes, Uncategorized, Weight Loss and tagged Dinner, Food, Gluten Free, Healthy Eating, Seafood, Weight Loss. Bookmark the permalink. ← My mom is right!